Jocelyn Anderson of Plympton ran her first marathon Monday in Boston with Tedy’s Team, in support of the American Stroke Association. She raised almost $11,000 to help fund stroke research. She ran in memory of her father, John Anderson, who died after suffering a stroke 15 years ago. Tedy Bruschi, a member of the New England Patriots, suffered a stroke at the age of 31 and has committed himself to being an advocate and inspiration for stroke survivors everywhere. 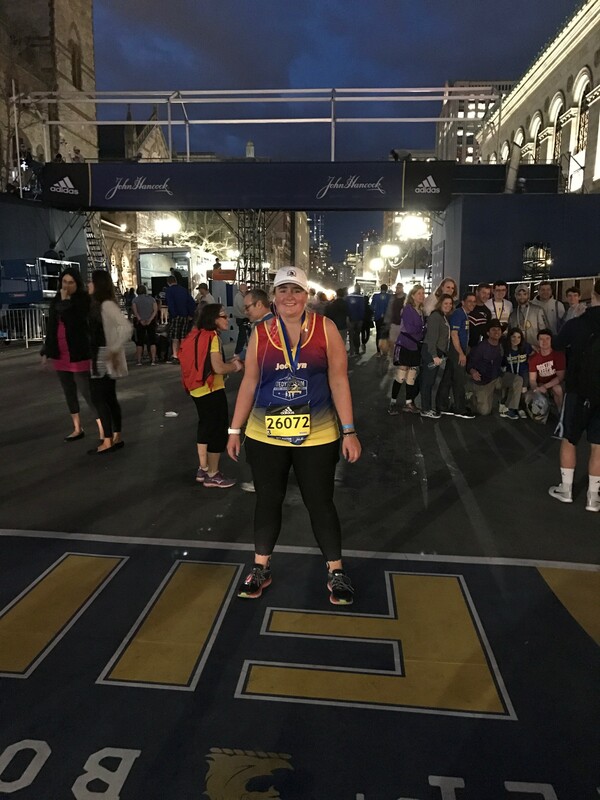 Jocelyn’s personal goal was to finish the race, raise awareness about stroke, help fund stroke research, and although it was dark when the finish line came into view, the light from her smile at meeting her goal was light enough.